Over its 250-year history the British East India company (EIC) became one of the most influential commercial and political organizations in the world. Its profits catapulted the British Empire to global dominance and shaped the fate of some of the world’s great nations. But its ascent was anything but easy, being torn by diverging interests at home and abroad. The Company may face open rebellion in India or outright failure as it faces takeover threats by the British Parliament. 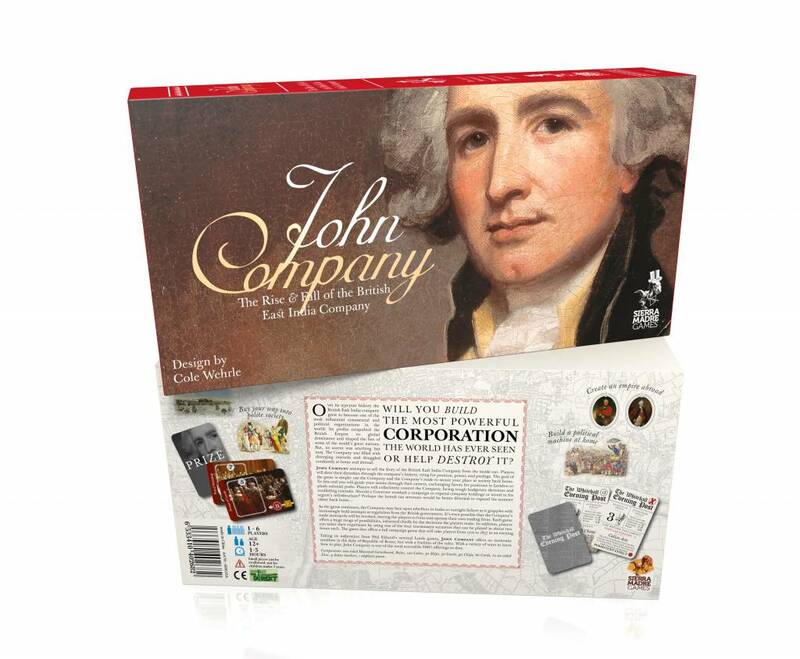 If the Company loses its trade monopoly, the players must form and operate their own trading firms. Each game offers a huge range of possibilities, informed chiefly by the decisions the players make. In addition, you can tailor your experience by using one of the four tournament scenarios that can be played in about two hours each. The game also offers a full campaign game that will take players from 1710 to 1857 in an evening. 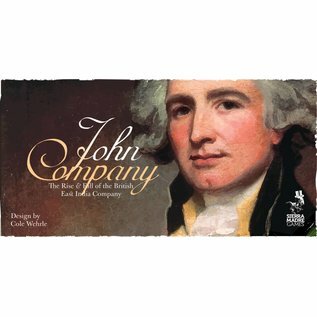 Taking its inspiration from Phil Eklund’s seminal Lords games, John Company offers an economic sandbox in the style of Republic of Rome, but with a fraction of the rules. 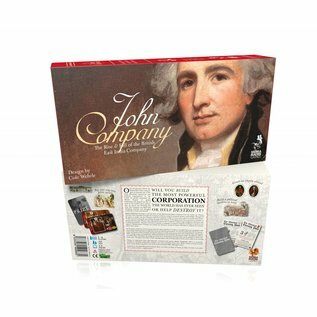 With a variety of ways to learn how to play, John Company is one of the most accessible SMG offerings to date. Components: 600 X 292mm Mounted Gameboard, Rules, 125 Cubes, 30 laser-cut Ships, 30 Goods, 90 Chips, 60 Cards, 10 Six-Sided Dice, 1 laser-cut elephant pawn.